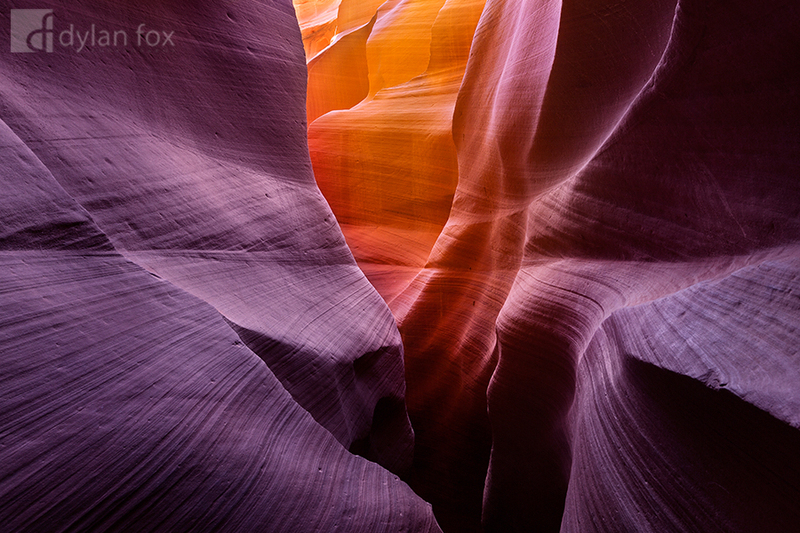 The dramatic colour temperature differences seen in Antelope canyon. The camera records these tonality difference slightly more dramatically than the human eye making for a striking photograph. I have never seen glowing light quite as brilliant as I did here in Arizona. Secure your limited edition, Antelope Canyon photographic print, 'Divine', by selecting your desired print size in the menu to the right.